Look … there’s an RV buyer – with $48,000 in his checking account! He’s browsing RVT.com. His family is researching their next RV purchase. Wait! Check this out … they’ve seen your unit on a Search Results Page. Yes! You’re in the running … and yes … they just clicked on your unit! 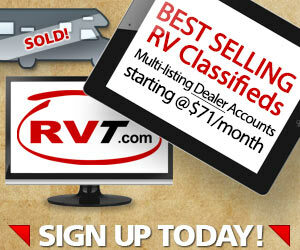 They’ve opened up your listing on their desktop, and they’re taking a close and detailed look at your RV! Exciting … steady now … they’re looking at all your photos … they’re reading your ad’s description … Oooo, I hope they call! Pick up the phone people, pick up the phone! But, Will They Contact You? Will they call, email or stop by? OK, they’re back to reading through your classic, industry standard, run-of-the-mill “feature dump” description. You’ve got EVERYTHING in there, including the kitchen sink! He’s getting bored … eyes glazing over … feature after feature after feature … click … awww RATS! They clicked away! No fair! Happens all too often – even to the best of dealers. Perfect buyers / perfect unit. Long, run-on, horizontal block-looking, “feature dump” description. Zero effective calls to action. No suggestive, no professional “ask” for contact. And, the result? Your would-be buyer clicks away. Gone. Too bad. 1. The Power of a Great Story. 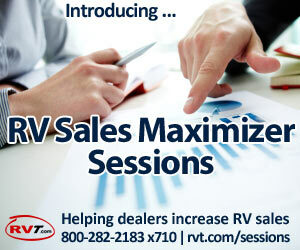 CASE-IN-POINT: Last fall, I was working with one dealer in an RV Sales Maximizer Session and we noticed that some form of story would enhance their descriptions. So, the dealer added an element of story into the mix and has enjoyed increased lead volumes ever since. This unit has a fantastic story. It was only driven south for one winter (hence the low miles) and interestingly, it has never been lived in full time. Call Dave at (AAA) BBB-CCCC for more info. It’s a short statement, subtle and it drives at what the buyer wants (a great story) – and – it “asks” for a call. Perfect. Dealers tell me most RV’ers (and wannabe RV’ers) do not fully understand towing. Some are afraid of it! Towing is a big mystery to the majority of buyers. So, if you know your buyers are confused, worried, mystified about towing, why not bring it out in your listings and offer to “solve” the mystery for people? This builds your credibility and encourages folks to call you as the authority. Not sure about towing? 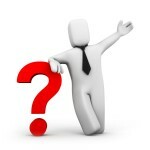 Do you have towing related questions? You’re not alone! ABC RV is here to help. Feel free to give us a quick call. Towing is something you want to get right. We’re always available to answer your towing related questions. (AAA) BBB-CCCC. Thinking of towing this gorgeous RV with a particular vehicle? We should have a look. We’re open 9 to 6 five days a week and 10 to 5 on Saturdays. Stop in with your tow vehicle (South off the I-5 at Exit 286.) We’ll have a look together and set your mind at ease about what you can and cannot tow with it. That way you’ll know for sure. 3. Open Hours and Phone Number. If a buyer’s looking at your ad and they want to see the unit – NOW – let’s make it easy to find out what your Hours of Operation are and where you’re located. For many buyers, the systems and functions of RVs are overwhelming. Buyers (who are serious) want and need to be taught how everything works. Make a suggestion that shoppers call you and arrange a special one-on-one full function demonstration. Demonstrations help allay the buyer’s apprehension about how RVs work – and – demonstrations are a Sales Rep’s dream come true! Set the stage for lots of demo appointments by offering them up front in your listings. 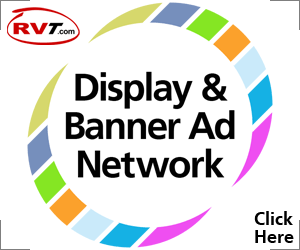 It can mean less sales when RV shoppers click away from your listings so give buyers good reasons and ask them to connect with you. This is part of the key to receiving more calls. Ask consistently. Ask often and ask in taste. And, don’t be surprised when more buyers start showing up!